When Yo La Tengo released its fourth album Fakebook in the summer of 1990, the celebrated indie-rockers from Hoboken, N.J. were a very different band—not yet the ferociously electric-guitar-driven noise/drone powerhouse now beloved by two generations of underground music fans, and searching for their identity. Turning toward a then still unique “unplugged” concept, they built on their roots as the coolest cover band to ever take the stage at Maxwell’s, tackling a wide array of songs they loved (by John Cale, Daniel Johnston, the Flamin’ Grooves, and others) the way that low-level gigging pros would open their fake book of chord charts to fulfill a request at a wedding or bar mitzvah. Unemployed and more than a little homesick after newly relocating to Minneapolis, Fakebook arrived as a gift from old friends: “I don’t think there’s ever been a more welcome package from home,” I wrote at the time, and the band crashed on my floor while touring. 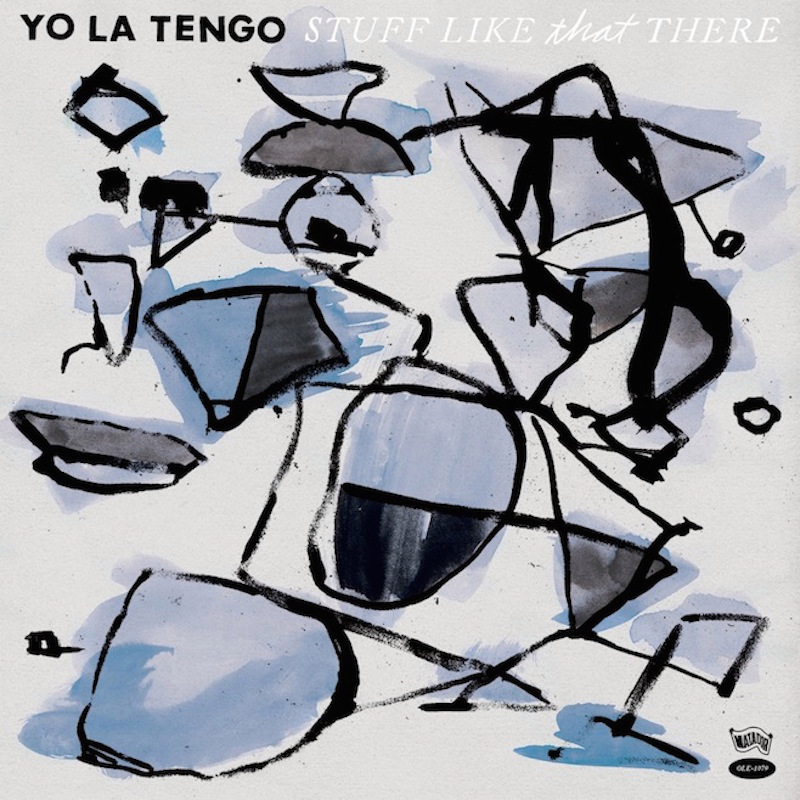 But I’ve returned to that album more than any other Yo La Tengo disc in the years since and enjoyed the occasional echo of it in work to follow, and not only because of memories of the time and place. The way the band shined new light on familiar sounds from very distinctive voices, the interplay between Ira Kaplan and Georgia Hubley’s quiet, heartbreakingly intimate vocals, and the spot-on contributions of rootsy guitarist Dave Schramm are more subtly insinuating and enduringly resonant than anything the band has given us over a now storied career. “Stuff Like That There may well be a 25th anniversary sequel to the idea of Fakebook, but to my ears it makes a case for simply returning to what moved Yo La Tengo to make things in the first place: embracing the people who they still hold close and making a spirited noise about it,” the band’s pal, Lambchop leader Kurt Wagner, wrote in some pre-release hype, though there’s actually nothing hyperbolic about his well-deserved praise for the album. As on Fakebook, the group, once again expanded to a quartet thanks to returning guest Schramm, reimagines deftly chosen covers from well-known names “I’m So Lonesome I Could Cry” by Hank Williams, “Friday I’m in Love” by the Cure) as well as lost heroes and heroines (“My Heart’s Not in It” by Darlene McCrea, “Before We Stopped to Think” by Great Plains) and some of its own songs (“The Ballad of Red Buckets,” “Deeper Into Movies”). The result is something much greater and more personal than that simple summation of its parts might indicate. No doubt it will come as a surprise for fans who came on board post-Painful or Electr-O-Pura, and as another timely Care package from old friends for the rest of us. Either way, it offers another welcome perspective on a great band, and a reminder of why we love it.